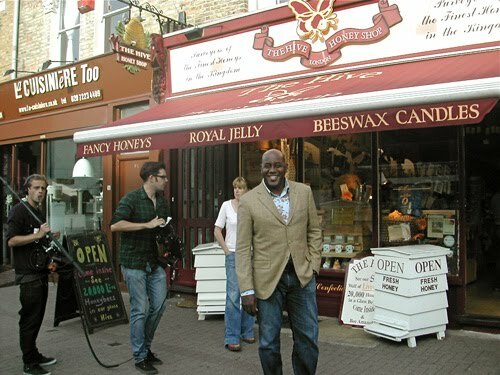 Ainsley Harriott, TV Celebrity Chef, was in full form entertaining passers-by outside the Hive Honey Shop today. 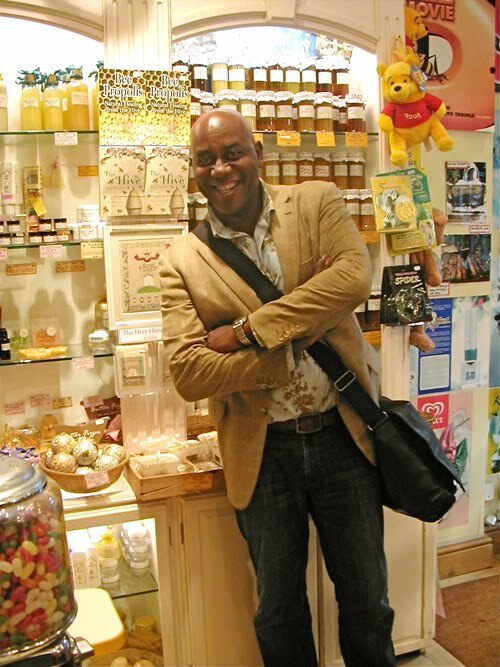 Outline Productions contacted The Hive Honey Shop asking if they could film an interview with us for their upcoming TV series ‘The Great British Food Revival’. Outline Productions are making a new ten part food series for BBC2 called, ‘The Great British Food Revival’. Each episode will be hosted by a different chef who will be championing a British food that they feel is in need of a revival. 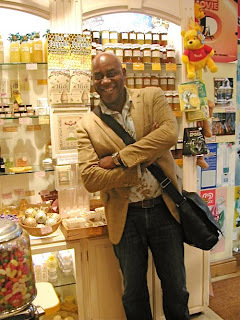 One of the episodes is going to look at Honey and the current issues facing the British honey industry and, to some extent, the plight of the honey bee. It was a fun day for all and we eagerly await watching the series in January 2011!